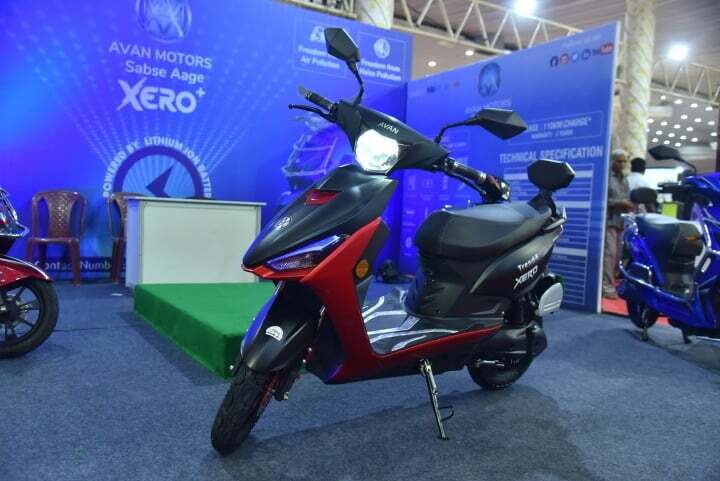 Avan Motors has unveiled its upcoming Trend E Electric scooter at the Bengaluru Automobile Expo 2019. It is available with a 60 km range and 110 km range as well. Avan Motors will soon launch the top-end variant of its electric scooter range. The Trend E electric scooter has been showcased and will be placed over the Xero+. The prices have not been announced yet. The Trend E scooter gets power from a lithium-ion battery, which is capable of achieving a top speed of 45 km/hr. Dual lithium-ion batteries variant is also offered alongside. Avan Motors offers 60 km riding range on the single-battery variant and 110 km range on the dual-battery range. The charging time for the battery ranges from 2-4 hours. For suspension, the scooter uses hydraulic telescopic forks at the front and coil spring rear suspension. Braking is handled by disc brakes at the front and drum brakes at the back. Trend E can take maximum payload of up to 150 kgs. Further features include alloy wheels, detachable Lithium-ion battery, state-of-the-art equipment and a fully digital instrument console. Avan Motors claims that the scooter gets a taller ground clearance for tackling damaged roads. It looks like a conventional scooter and borrows some styling bits from the Xero+. Also Read: Bajaj Urbanite Electric Vehicle brand launch timeline revealed! The prices are yet to be announced. We expect the price range to fall between Rs 46000 to Rs 60000, which will include the single-battery variant towards the low pricing end and the dual-battery variant on the higher pricing end. Currently, the company has 2 electric scooters on sale – Xero and Xero+. Both are commuter e-scooters focused on delivering better riding range. At an earlier future mobility event, Avan Motors confirmed that it will launch new electric vehicles every 6 months for the next 3 years. It plans to put a big lineup for the Indian market. Also Read: 6 New Electric scooters and bikes could launch in India in 2019! 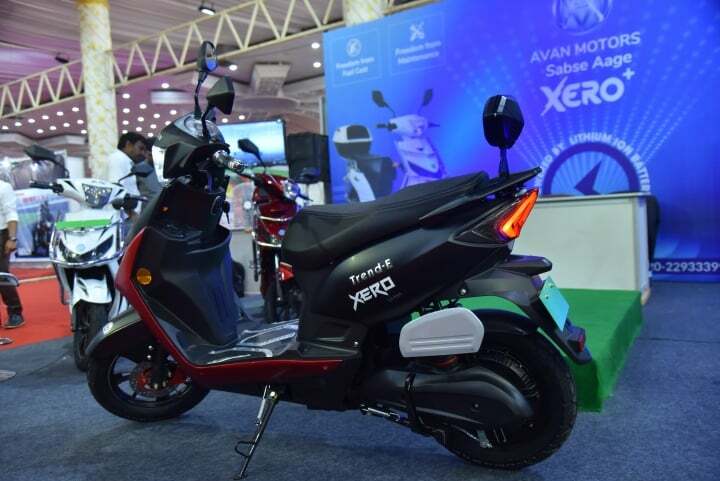 It is also working on an electric motorcycle, which was showcased at the Delhi EV Auto Expo.